WAUKESHA, WI/NEW YORK, N.Y. (November 8, 2018) –Kalmbach Media, the content creator of such well-known and respected media brands as Astronomy, Discover, Model Railroader, and Trains, today announced next steps in the growth of its science strategy, which includes re-entering the national advertising market; forming the Discover Media Lab, a science-focused content studio; and establishing a new international licensing partnership. Kalmbach has recently partnered with Barista Media, a Los Angeles-based advertising sales firm, to bring these opportunities to the national advertising market. Led by industry veteran Larry Stevens, Barista Media will work closely with the Science Group to deliver creative, customized solutions to help brands reach their target audiences. “The science category, especially through broadly appealing brands such as Discover and Astronomy, has much to offer advertisers seeking quality media and audiences,” says Stevens. The Science Group’s combined magazines, websites, email newsletters, and social platforms reach 10 million deeply engaged science enthusiasts each month. 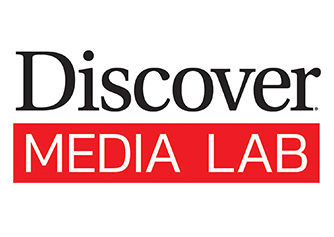 As part of expanded global reach, Kalmbach has retained Cue Ball for the international licensing of Discover content. Specializing in brokering a range of cross-border deals including licensing, joint ventures, and strategic partnerships, Cue Ball and Kalmbach will explore a variety of licensing arrangements for its brands, with a special focus on partners with footholds in the “knowledge” category.